Episode 23: Funny Guy. Right Here. The election is over. The campaigning is done. The ads are gone. We talked about it here and wanted to bring a guest into the Cold Oatmeal studios to help us wrap it all up. So, we invited a stand-up comedian, of course. Dwayne Gill, the funny cop, is our guest today, and we don’t spend a minute talking about politics. 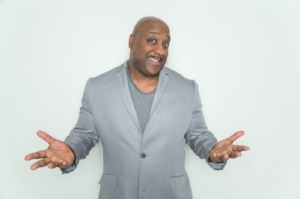 Dwayne’s been a Michigan state police trooper for more than 25 years and a stand-up comedian for about the same amount of time. How’d he get started? What do you learn at comedy school? Yes, there is such a thing. How to get a gig and build your name in comedy? A little parental discretion may be advised. You are listening to the Cold Oatmeal podcast. Episode 22: Are you being served?